Some guitar companies can sell instruments based on name recognition alone. Others have names few people will recognize, and they face a long, uphill battle when it comes to earning respect and remaining profitable. A third category of guitar brands seems perpetually underrated by guitarists. Sure, we know their names, but they come with predetermined reputations that tell us what they are and what they are not. To think of them otherwise puts you in stark opposition to your peers, and the guitar community as a whole. Sometimes there are good reasons guitar companies gain these sordid reputations, but in other cases it is more a matter of inaccurate rumors and outdated information. Some guitar brands just don’t get the credit they deserve. Those underrated guitar companies, and their stories, are what I will be focusing on in this article. Why? Because by skipping over these brands and their instruments you might be missing out on a real diamond in the rough. If you have thousands of dollars to throw around you can afford to be a guitar snob. Most of us need to stretch our wallets as far as they will go while still finding instruments that do the job well. 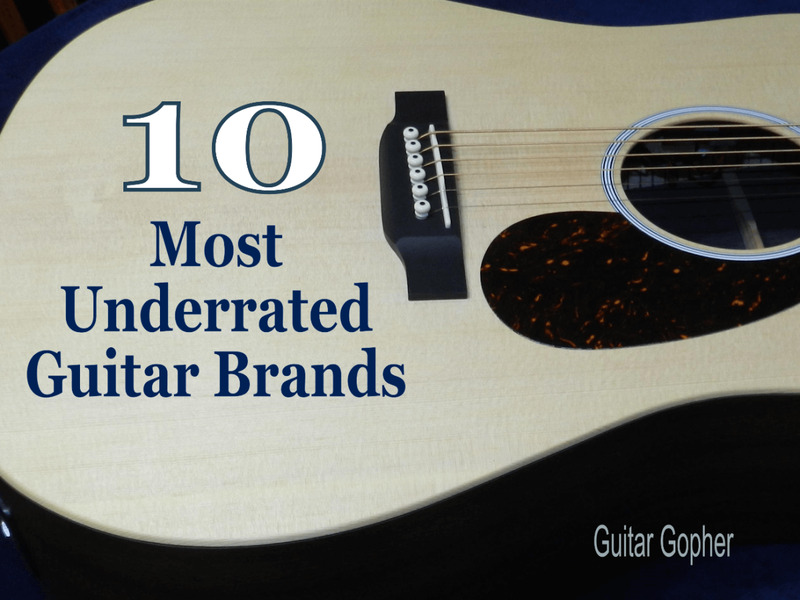 Here is my shortlist of the ten most underrated guitar brands. Read on to learn more about why each company made the list, and which instruments you should check out. Feel free to add you own suggestions in the comments section. Squier is part of Fender Musical Instrument Corporation. Fender guitars are some of the most iconic and beloved in the world, but they are a little expensive. Through the Squier brand they give us affordable versions of their classic instruments, and they make some of the best electric guitars for beginners. That might sound like a good thing, and in many ways it is. Choosing a Squier means you end up with a guitar that is designed and approved by the same company making the high-end models for the pros. Back when I started playing guitar there was no way to own a real Stratocaster on a beginner’s budget. Today you can, though it will have the Squier brand name on the headstock. But Squier’s close association with Fender is where it runs into trouble as well. Every Squier Stratocaster, Telecaster, Jazzmaster or Jaguar is inevitably compared to its high-end counterpart. That’s only natural, but also really unfair. If you are used to playing expensive American-made Fenders of course you are going to find numerous shortcomings with a $200 Squier. In my opinion, Squier guitars don’t deserve this kind of negativity and they are the perfect match for many players. This includes not only beginners, but guitarists who left the instrument behind years ago and want to start playing again without spending a lot of money. 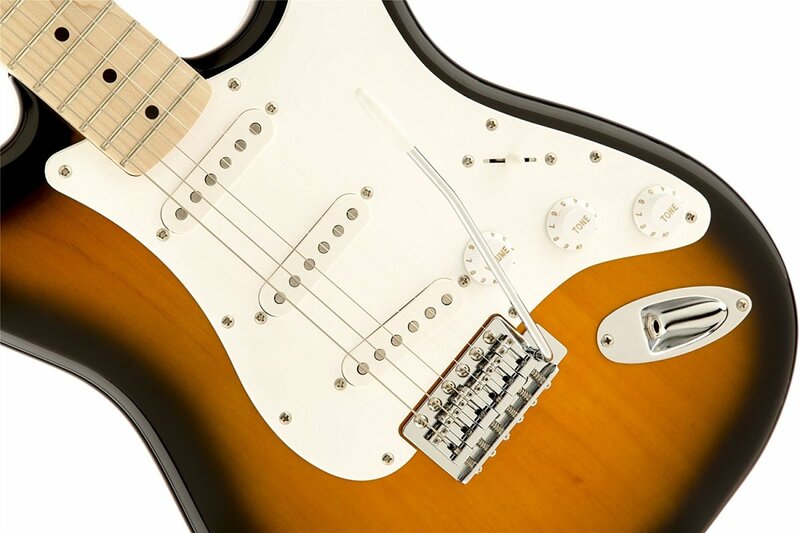 It even includes veteran players who want to pick up a quality Strat or Tele without spending a lot of cash. If that's you, I think you'll be pleasantly surprised by the Vintage Modified and Classic Vibe Squier lineups as well as their Contemporary Series. Yamaha is a Japanese company that makes a lot of different things, including many kinds of musical instruments. They make excellent bass guitars, drum kits and keyboards, and if you are in the market for new tuba they have several to choose from. I also think their acoustic guitars are top-notch. They make fine high-end instruments that look and sound amazing, and I always recommend affordable Yamaha acoustic guitars for beginners. Yamaha definitely isn’t underrated so far, not by me or anyone else I know. But there is one arena where I feel they don’t get enough credit, and that is when it comes to electric guitars. They only make a few designs: The REVSTAR, SBG and Pacifica. The Yamaha series I want to focus on here is the Pacifica. This is an instrument I always suggest to beginners, but there are models for intermediate and advanced players as well. The Pacifica is not an unpopular guitar, but I still wonder why it isn’t better revered. Few people seem to mention Yamaha when discussing the brands like Ibanez, Jackson or even MIM Fenders. In my opinion the Pacifica PAC212 is one of the unsung gems of the guitar world. It is versatile and well made with one of the best instrument companies in music standing behind it. I suggest checking it out if you are a serious beginner or intermediate guitarist looking for something a little different. 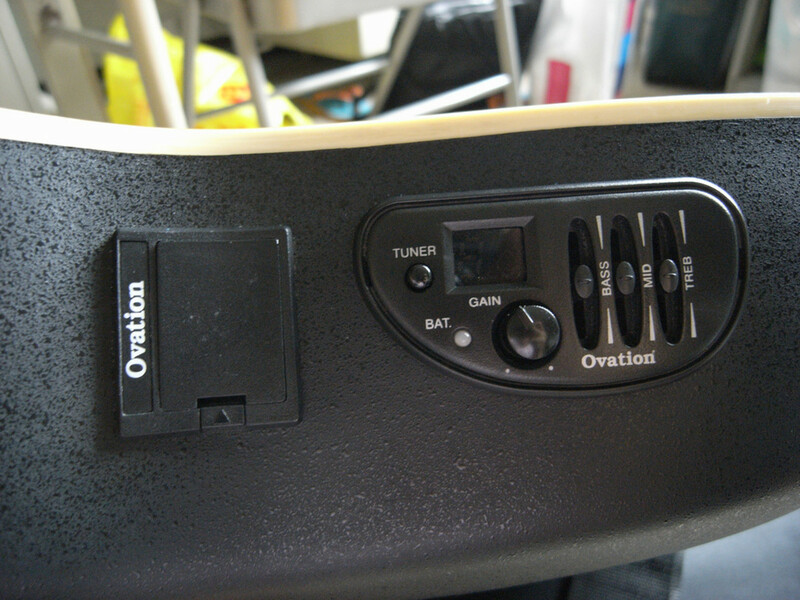 Ovation instruments are unique in the guitar world. They build acoustic-electric guitars with a bit of a twist. Most acoustic guitars use wood for their tops, necks, backs and sides. Ovation instruments have wooden tops and necks, but the back and sides are replaced with a bowl design, and a material called lyrachord. In addition to their innovative design, Ovation guitars typically feature powerful active electronics for expansive tone shaping possibilities. While they do sound a little thin unplugged, through an acoustic guitar amp or PA system they sound really good. These guitars are made to go with electricity. Still, guitarists have some strong opinions about Ovation guitars. As you can imagine, tonewood snobs will have none of this lyrachord business. I get it, sort of, as it’s tough to beat a sweet-sounding solid rosewood or mahogany-backed acoustic. But I also think they are missing the point, and I do think Ovation is often underrated when it comes to sound and playability. I played an Ovation Celebrity Elite during my short-lived and ill-advised time in an acoustic duo. I loved it. It was comfortable to play, sounded really good, and it was very easy to manage as far as feedback and tone shaping. If I am going to play at home, unplugged, I will probably stick to my Martin. But if I have to stand there for an hour or more and play with a group I would certainly consider an Ovation over a larger all-wood guitar. Quick, think of a classic Washburn electric guitar that doesn’t include the name Nuno. If you are struggling to come up with one you aren’t alone. I can think of a bunch but that’s only because I spend so much time reading and writing about guitars, but I’m still pretty floored when I check out their website. Washburn makes great stuff, but for whatever reason they tend to fly under the radar. That wasn’t always true. Not that long ago Washburn was building Dime signature guitars, and models based on guitars played by Paul Stanley of KISS, Scott Ian of Anthrax and Dan Donegan of Disturbed. Going back even further, Washburn was a pretty big name in the ‘80s. Washburn still makes great guitars for rock and metal in the Parallaxe and Sonamaster Series, but that’s not where I think they are underrated. Maybe because of Washburn’s association with metal over the years people tend to overlook some of the really classy instruments they have in the catalogue. Check out the J600, in my opinion one of the top affordable jazz guitars out there, and some of the other hollow-body guitars in the J and HB Series. 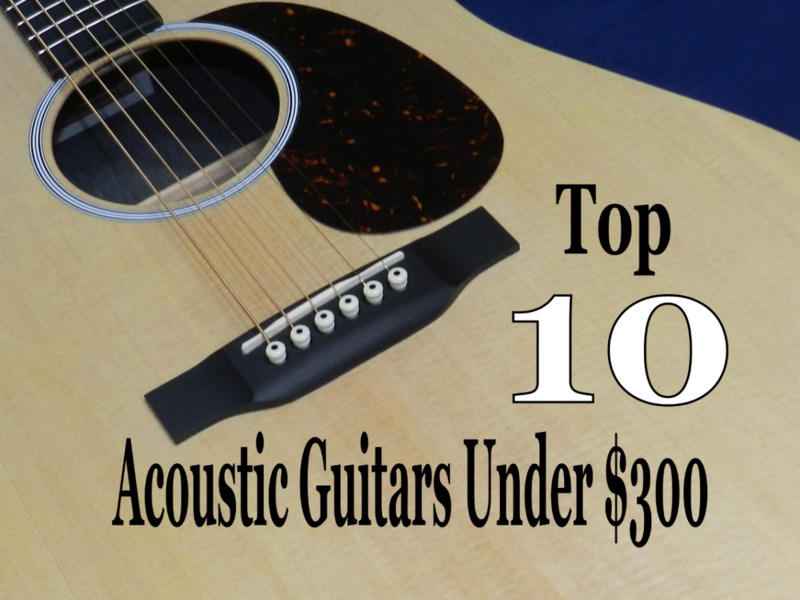 Their acoustic guitars always seem to be overlooked as well, and they make everything from classical guitars, to beginner guitars to quality instruments for the pros. Epiphone is owned by Gibson, the company responsible for the legendary Les Paul as well as the SG, Flying V, Explorer and other designs. Like Squier, Epiphone makes budget versions of these instruments. And, like Squier, they tend to suffer from the same comparison issues. It’s easy to compare an Epiphone Les Paul to a Gibson Les Paul, but some people forget that the Gibson costs several times more than the Epi. A few years ago I might have had Epiphone second on this list behind Squier, but a few interesting things have happened. For one, Epiphone introduced their ProBucker pickups. These are a big step up from the old Alnico Classics in my opinion. The other thing Epiphone did was step up the quality on many of their components. That used to be the knock on them back in the day. You could get an Epiphone Les Paul and save some money, but be prepared to replace a lot of the components. These days you really don’t need to worry about that anymore. 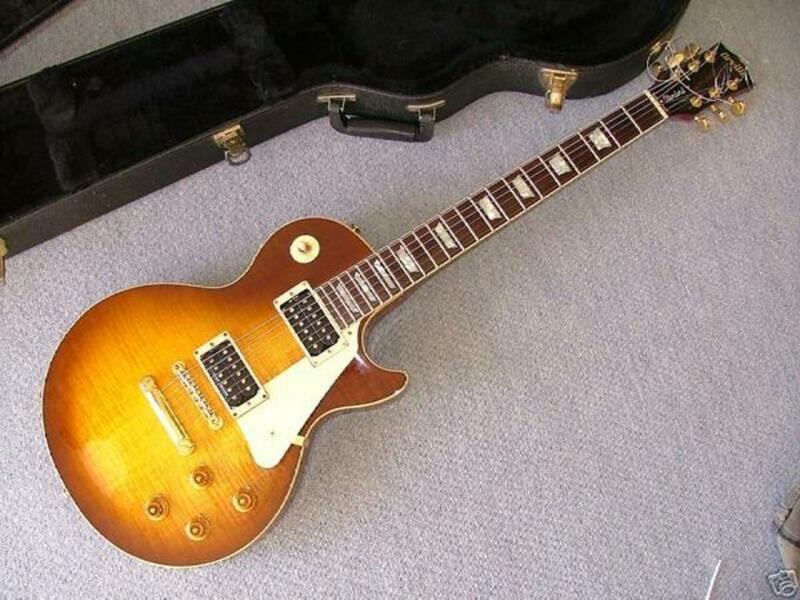 In my opinion the Epiphone Les Paul is among the best alternatives to a Gibson Les Paul. However, I think it is now even more than that. 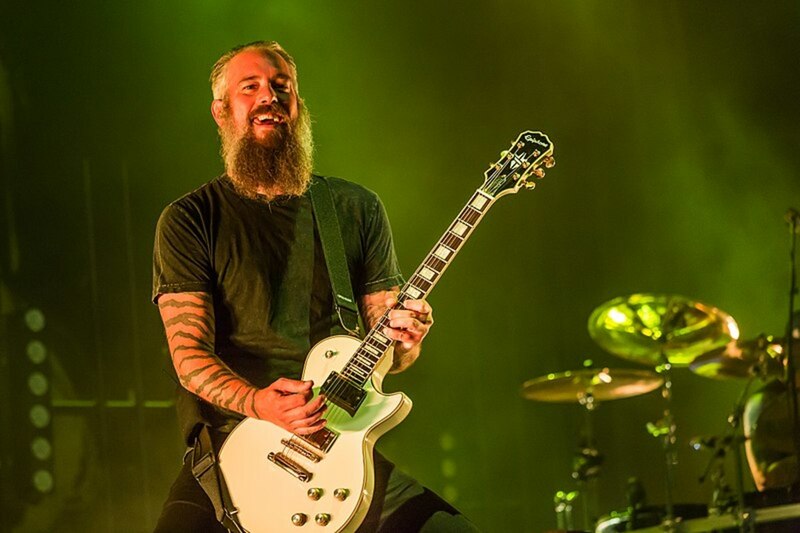 It has become a legitimate candidate for any pro or semi-pro guitarist as a main instrument, and many guitarists seem to be coming around to that idea. 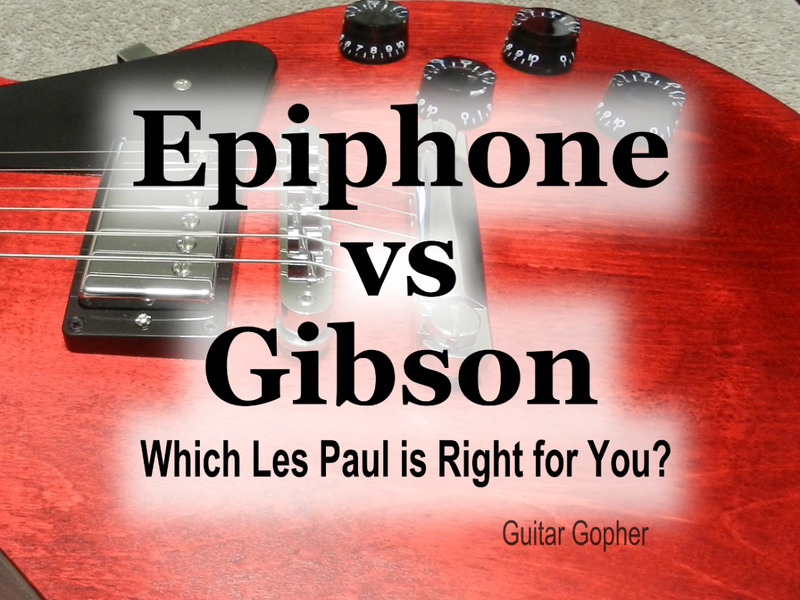 Unfortunately, because Epiphone will always be in Gibson’s shadow, it is tough to convince a lot of people just how good Epiphones are nowadays. Here are the next five guitar companies that I think deserve more respect than they typically get. Peavey is known for awesome guitar amps like the 6505 Series, and gets a fair amount of deserved credit for their bass and PA gear. However, ever since Eddie Van Halen removed his name from their brand they tend to be overlooked when it comes to electric guitars. I think that’s a shame. The HP Series is a great guitar for shredders, and there are a few more surprises in Peavey’s lineup for those who’d dare take a look. Why is Dean underrated? They’re a guitar company that I think has more to offer than people might realize. This is maker of the legendary ML, after all. They veer toward the metal crowd for sure, but there is nothing wrong with that. In addition to the ML they have a few more metallic designs, but also some pretty arched tops and acoustic instruments. When I was a kid it was my dream to one day own a single-pickup Kramer superstrat. Eddie played one, along with some of my other guitar heroes of the day. In the early ‘90s the company took a nosedive, and was eventually bought up by Gibson. At one point inexpensive Kramer guitars were available exclusively online through a site called MusicYo. It was kind of weird, and easy to see why the brand’s reputation dropped off a cliff. However, today things are different, and in my opinion Kramer guitars are once again worth a look from veteran and aspiring shredders alike. One of my local music stores is a Breedlove dealer. Their single-cut acoustic guitars are just gorgeous, and they sound great. They’re an American company out of Oregon, and they tend to get lost in the clutter of all of the acoustic guitar choices out there. I think they stand out from the crowd, and I highly suggest checking them out. If you were to graph my feeling on Cort guitars over the years it would look like the schematic for a roller coaster. My opinion has been all over the place. These days I’m bullish on Cort, especially based on what I saw coming out of Winter NAMM this year. Check out the KX508MS. That’s too many strings for me but it looks amazing. I’d be more inclined to go with the X500. 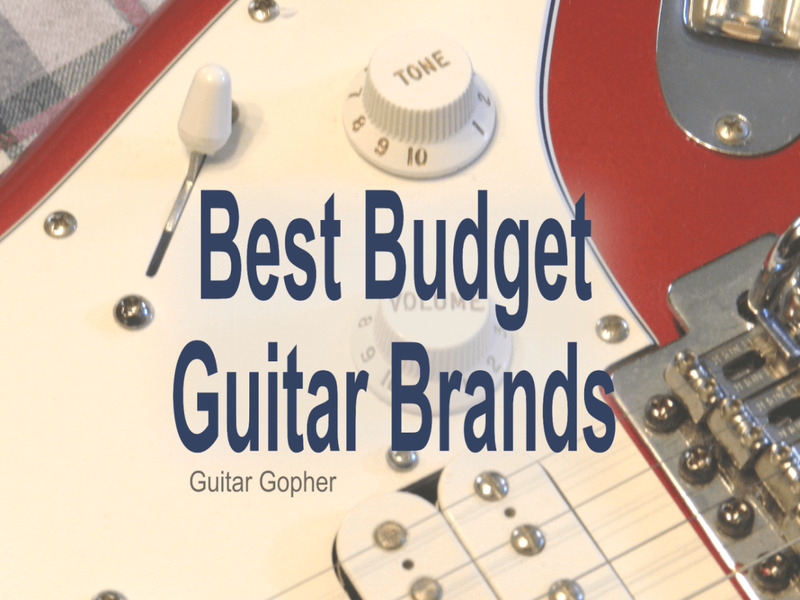 The purpose of this article was to create a list of underrated guitar brands that you’ve probably heard of, but for whatever reason just don’t get the recognition they deserve. However, there are many more guitar companies that deserve recognition. Some are small luthiers only interested in making a few guitars per year, and others are up-and-coming builders trying to make a name for themselves. Every legendary guitar had to start somewhere. Would you believe there was a time when the Gibson Les Paul was underrated? That was how we ended up with the Gibson SG. The next Gibson Les Paul is out there somewhere. Maybe some upstart luthier working for a guitar brand we've never even heard of is building it right now. Which guitar brand is the most underrated?